Time pressure can bring out your worst instincts as an SAT test-taker. After all, how often on a high school English or Math test do you have one minute or less to answer a question? Learn how to budget your time on each section of the SAT, and get the pacing tips you need for the score of your dreams. The SAT clocks in at 3 hours (3 hours and 15 minutes with breaks). 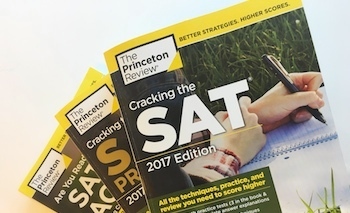 And if you choose to sign up for the optional essay, the SAT takes 3 hours and 50 minutes to complete (or 4 hours, 5 minutes with breaks). Are you ready for your SAT date? The biggest mistake many test-takers make is to spend too little time on the easy and medium questions, and too much time on the hard ones. The problem with this approach is that if you rush through the easy and medium questions, you are almost certain to make a few careless mistakes. Here are the pacing steps that will help you improve your score. You’re not scored on how many questions you do. You’re scored on how many questions you answer correctly. Doing fewer questions can mean more correct answers overall! When you take practice tests, time yourself exactly as you will be timed on the real SAT. Develop a sense of how long 35 minutes is, for example, and how much time you can afford to spend on cracking difficult problems. If you know ahead of time what to expect, you won’t be as nervous. Don’t let yourself get trapped by hard or time-consuming questions. Stop the part of your brain that says, “But I’ve already spent so much time working on this question . . . I know I can finish it!” If you’re stumped or running short on time, guess and move on. Learn more SAT tips for completing questions out of order.